The Holy Cross Lutheran Church grounds host an orchard composed of apple, pear and plum trees. There are also walnuts and hazelnut trees. The orchard predates the church and is well over 50 years old. 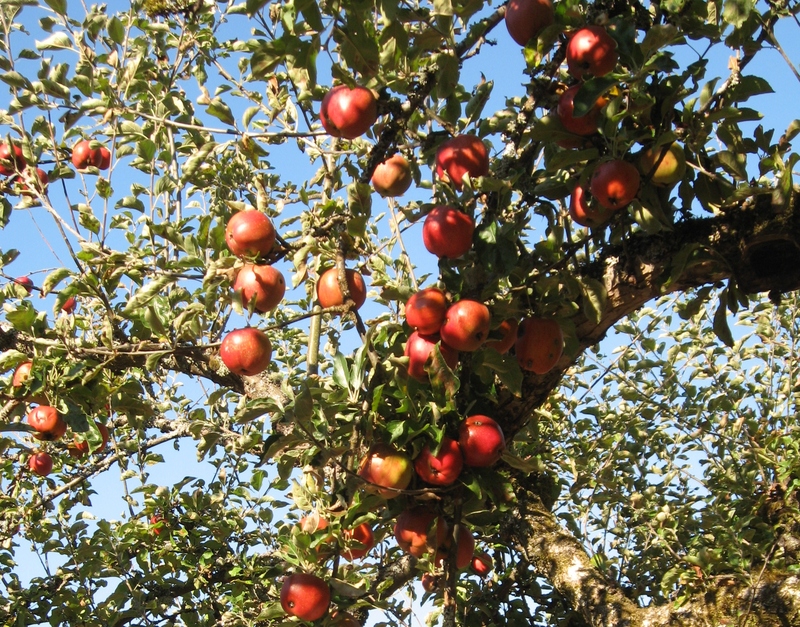 There are several varieties of apples in the orchard: Winesap, Ben Davis, Baldwin, Esopus Spitzenburg, Duchess of Oldenburg, Opalescent, Winter Banana, Transparent. The Transparents come and go in the early weeks of summer. Orginally when we started taking care of the orchard in 2010, we thought that the names of the apples had been lost to time, but the Earthkeeping team was fortunate enough to have had the help of the Seattle Tree Fruit society in identifying the varieties of apples. In our orchard, we have 17 apple trees 6 plum trees, 5 quince, and 3 pear trees. There is also a walnut and a hazelnut tree. says the “banana” in the name was to capitilize in an interest in bananas in the 1880’s. The winter banana tree did not grow well in the midwest but flourished here. The Holy Cross Earthkeeping team together with the community have been harvesting the fruit for local foodbank. To give you an idea of what the orchard can produce, here are the numbers from 2012 along with the harvest dates. Total fruit without quince = 1055 – 1/2 ton! The members of the Holy Cross Earthkeeping team have been consulting local experts with City Fruit of Seattle to learn proper pruning and pest management techniques. Much has been learned in the last few years and our orchard is becoming more productive. You can search our blog to find out the different events that have gone on in our orchard. 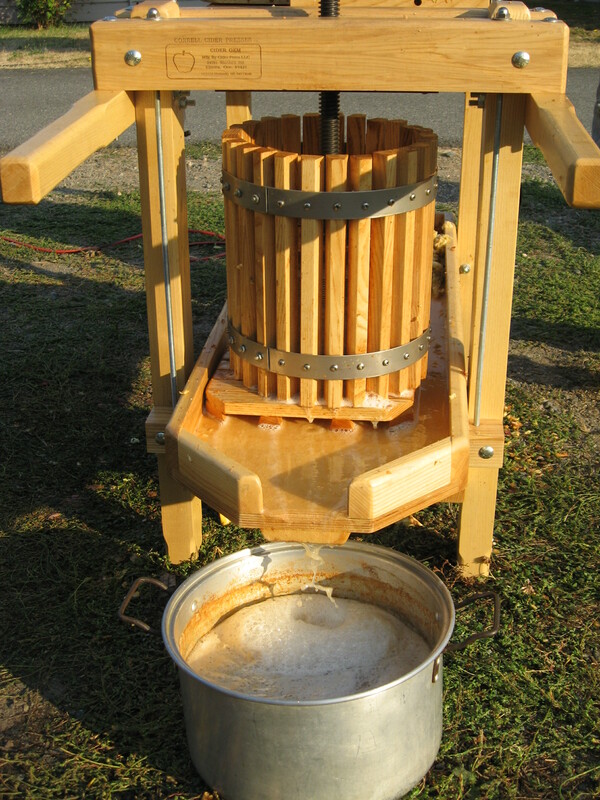 Our most fun event is the fall harvest and cider making day, which is attended by members of the church, the community and local girl scout troops. The team is looking for others who would like to adopt a tree and take care of it during the growing season. If you are an expert or novice in orchard care and delight and want a neat community with which to share your expertise and/or enthusiasm, join us! Contact Janet at jkftahiti@comcast.net to let us know how you’d like to assist in this community effort.